The 13th Court of Appeals halted former Catholic priest John Feit’s appeal of his murder case last week after learning the court reporter lost all transcripts of 2016 court proceedings as a result of a damaged hard drive. The appellate court ordered District Judge Luis Singleterry to schedule a hearing within the next 30 days to determine whether the lost records are necessary for the appeal and whether they can be recreated. Based on the findings of that hearing, which has yet to be scheduled, Justices Gina M. Benavides, Leticia Hinojosa and Gregory T. Perkes will decide whether they will have a sufficient record of all the proceedings in Feit’s case to move forward. 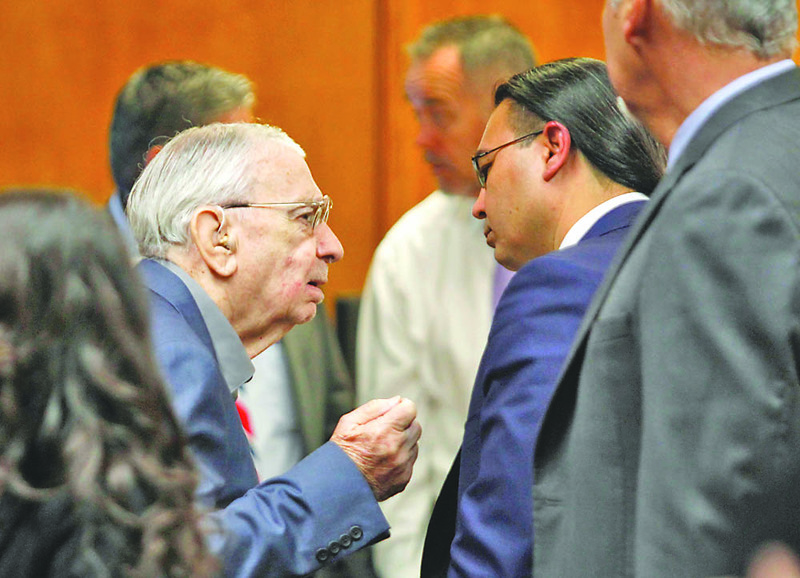 Feit, 86, was indicted for the 1960 murder of his parishioner, Irene Garza, in February 2016 after the case had gone cold for more than five decades. He was extradited to Texas from Arizona, and a Hidalgo County jury found him guilty in December 2017 of the first-degree murder charge and sentenced him to life in prison. Attorney O. Rene Flores, who’s representing Feit, filed a notice of appeal with the 13th Court of Appeals in January 2018 and has been granted four extensions to file a brief detailing why Feit’s conviction should be reversed. One of the factors contributing to the appeal’s delay is that the written record of all court proceedings relating to the case was only partially filed, according to Flores’ recent extension request. Hidalgo County District Attorney Ricardo Rodriguez said it was unfortunate the 2016 records had been lost but said he was confident the attorneys would be able to make a record of everything that transpired that year. Flores did not return a call for comment. He filed a slew of motions on Feit’s behalf from April to December 2016, according to county court records, but Feit only appeared in court four times that year for his arraignment and three pre-trial hearings.